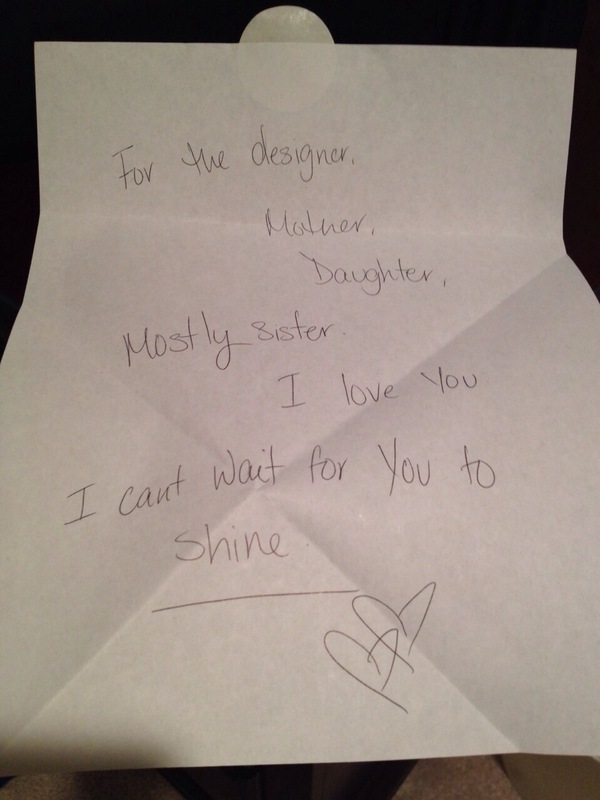 At the end of Houston design week, I came home to one of the sweetest notes from my little sister. 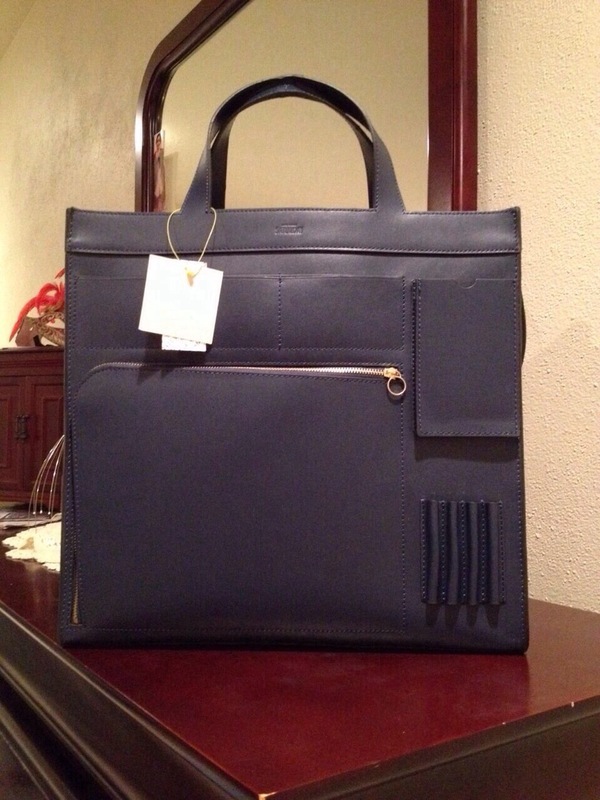 Along with this Kate Spade purse.. I should also mention that baby sister is officially a blogger now on Tumbler, offering all kinds of advice and product suggestions for makeup and skin care. Make sure to stop by specially if you’re too busy to find out about good and new products out there. Check out her site here. You do realise that this is the bag I have been searching for? But with a shoulder strap. I imagine it is big enough to place a small file. Gorgeous bag and a lucky you.